Elite EL RTC is a hybrid of Elite EL STD and real-time clock. Its time calculation is driven by an internal clock which is battery-driven and sustainable for at least 3 years. Its unique design tackles license misuse by computer clock adjustment. It is an ideal dongle solution for license rental and trial management. Elite EL RTC is a hybrid of the Elite EL STD dongle and a real-time clock. Its time calculation is done by an internal clock which is battery-driven and sustainable for at least 3 years. Its unique design is to terminate the misuse of licenses through computer clock adjustments. The Elite EL STD is designed and manufactured to explicit manufacturing norms (ISO/IEC 10373, ISO/IEC 15408), formulated in accordance with international criteria EAL (Evaluation Assurance Level), and ranked in the international 1-7 grading system for scientific evaluation of chip security. The EAL 5+ chip technology upon which the EL STD is based, is a known upper security limit for current products; it doesn’t get any higher. Elite EL STD is equipped with the most advanced PHILIPS 16-bit smart card chip reaching EAL 5+ in the global hi-tech sector. This furnishes EL with outstanding effectiveness in resistiance to major attacks such as Electronic Attack (SPA and DPA), Probe Attack (SiShell), Chip Dissection and Debug Port. Code Port is an evolutionary technique of transferring via secure communication, key pieces of executable code to the dongle. When a corresponding dongle is plugged, the protected application invokes specific API functions to run this executable code that has been locked away in the smart chip on the dongle. The code performs operations on data stored in the dongle and returns legal results, so as to complete the full verification operation for the protected application. As the executable code and data stored in the dongle do not have copies on the deployment host PC, malicious crackers cannot get algorithms or data by physical interception. In a word, EL provides the ultimate in reliability to shield software developers from financial loss caused by pirating activities. As distinguished from conventional chip technology, the Elite EL smart card chip contains a high performance cryptographic algorithm accelerator or coprocessor. In the chip, the COS (Card Operation System) and its applications are simply running to implement tasks. In other words, this smart card chip can be viewed as a highly integrated mini PC. Access to the chip is protected by PIN, and the maximum re-tries is pre-set by software developers. For instance, under a dictionary attack, once the number of re-tries exceed the pre-set value, the chip will trigger a self-locking mechanism and block all external running operations. A global unique serial number, which cannot be altered or rewritten, is assigned to the EL smart card chip. This puts an end to the piracy and enables the effective management of released chips. 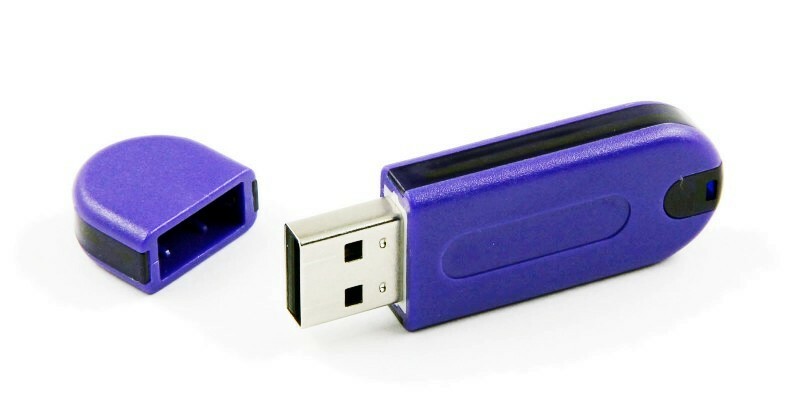 Furthermore, when using Senselock EL dongles, software developers are assigned a unique Client ID, which in effect addresses the critical issue of fraudulent dongle reproduction. A dongle on-board timer is a useful component for software protection that applies to time-limited usage and anti-tracking. EL has a built-in timer lasting more than 10 hours, longer than most competing products on the market today. If you are working on any other language than mentioned here, Please feel free to write to us. We will develop support libraries for language of your choice.